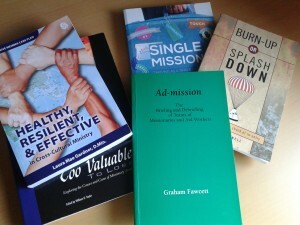 In this series on resilience, we have made the point that resilience is essential for our survival as mission workers. We need to develop it before we go, sustain it when the going gets tough, and restore it when things get easier. Today we’re going to look at some resources to help with this, several of which we have already referred to in other blogs because they’re so good, but it does no harm to bring them together in one place. The best single resource we have come across on this subject is a small booklet called Spirituality for the long-haul, by Tony Horsfall. It is a simple, practical and accessible way of making sure you have everything you need in place, and you can buy it online from Kitab for just £3. Tony is also the author of Working from a Place of Rest, which helps us combat overwork. Gene Edwards’ A Tale of Three Kings and Marjory Foyle’s Honourably Wounded are both classics in helping people wounded by their own leaders and colleagues. And Laura Mae Gardner’s Healthy, Resilient & Effective is a great handbook for leaders of agencies and churches in helping develop resilience in their mission partners. There is now a vast number of websites dedicated to supporting mission workers, and out of them all you might like to look first at Member Care Media with its vast array of podcasts on a variety of topics. The Headington Institute has a variety of fascinating articles about self-awareness, stress and resilience. We frequently talk about the importance of retreat to restore our inner peace and create a space to reconnect with God. While there are many places across the world providing retreat for mission workers (see our retreats page) we particularly recommend Penhurst Retreat Centre in East Sussex for its cosy, informal atmosphere, effective debriefing and focus on mission workers. Those of you in extreme stages of burnout or trauma may find a visit to Le Rucher helpful, and of course there are similar resources in other continents. It’s been a while since we gave you a tech update and so we’d like to take this opportunity to tell you about a couple of things you might be interested in. But before we do, we’d like to remind you about Everyclick. It’s a search engine, which uses Yahoo technology. Instead of a silly logo it has the advantage of an attractive photo on the homepage which changes every day, but the real benefit is that it donates half its profits to charity. To date nearly £3,000,000 has been dispensed in this way. Each of the 200,000 charities benefiting from it is allocated a share of the profits in proportion to the number of searches made by their registered supporters. So if you nominate Syzygy, we get money every time you do a search! So far we’ve received nearly £70 just by searching! You can also give directly to Syzygy (as you can through Everyclick) via Give.net, a new initiative set up by Stewardship. Just go to my.give.net/Syzygy and follow the simple online instructions. It’s easy for charities and individuals to donate, and it’s fully integrated with Stewardship’s existing systems so if you already have an account with them, they already know where to send the money. Those of you who have a phone which enables you to download apps may be interested in The Examine App (http://examineapp.wordpress.com), a useful new tool from the Headington Institute. We have mentioned before the role of the daily Examen in developing spiritual awareness and managing stress, and this app is a simple way of bringing technology to bear on that centuries-old discipline. 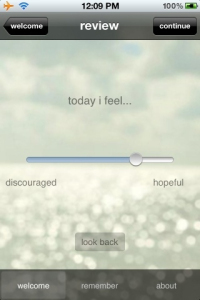 It asks you a few simple questions about how you are feeling, and records your answers so that you can look back over time and observe your progress. It also gives you opportunities for reflection and response. We recommend you use it daily for best effect. Nearly a year ago we told you about the benefits of using Dropbox to keep your files and photos on somebody else’s server and so facilitate sharing and backups. However some people are worried that although the data encryption is of a standard that will prevent your files being hacked, the geeks at Dropbox can still look at your files, if they want to. For some of us that is an unacceptable security risk. 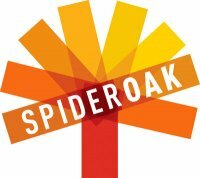 If that’s you, you might want to take a look at Spideroak. They claim that their ‘Zero-Knowledge’ privacy commitment means that they can’t see your files, even if they wanted to. Neither can foreign governments. While there are some chatroom grumbles about slow syncing speeds and even slower customer service, it’s had good reviews from some reputable PC mags, and for people with large networks there is no limit on the number of computers that can be linked to it. You also get your first 2 gig of storage free for life. Recently I seem to have been talking a lot about secondary stress with mission workers. It’s a common though relatively unrecognised problem among overseas workers, particularly those working in compassion ministries or among poorer communities. Secondary stress is the burden we take on not as a result of our own working or living conditions, but those of others. It’s not excess baggage so much as other people’s baggage. It’s what we pick up when we try to lighten the load on others who are already weighed down. It is perfectly natural to feel a degree of anguish when working, for example, in a refugee camp, or when counselling others who have problems. We would be pretty heartless if we were not affected by the tragedies we witness or the grief we hear about. 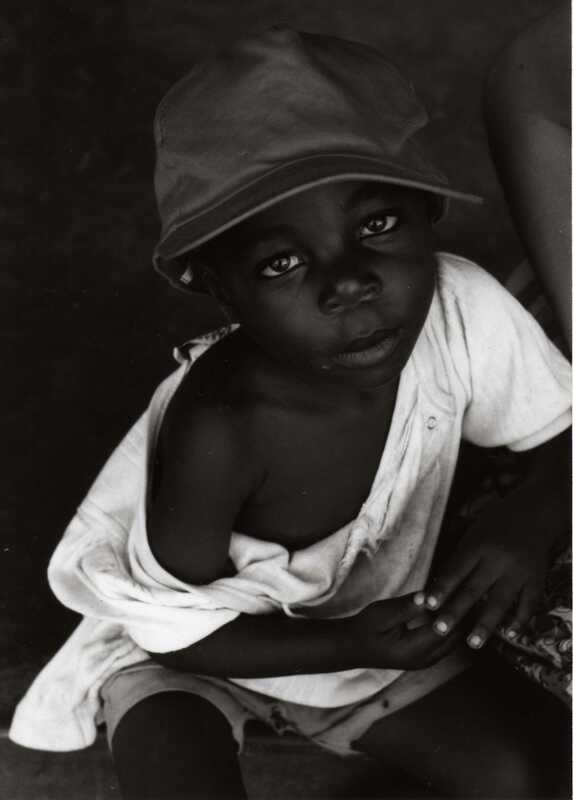 Our resulting compassion should spur us to more action to help the afflicted. But when we can’t sleep at night because of it, or have images we can’t get out of our heads, it is becoming hazardous to us, and even in the midst of a major humanitarian crisis we need to take some steps to ensure that we maintain ourselves in a condition to be able to continue to help those who need our help. The first step in dealing with secondary stress is to recognise that we may be suffering with it, because we often don’t notice. It creeps up on us, daily growing, until something goes wrong. Because I’m involved in debriefing a lot of people, often with major problems, last summer I arranged a debrief for myself, not because I thought I needed it, but because it is good practice. Only after I emerged emotionally exhausted from the debrief did I realise how much other people’s baggage I was carrying. One excellent tool for doing an inventory on yourself is Dr Beth Stamm’s Professional Quality of Life Measure, which can be downloaded free of charge from the Headington Institute. It is simple to use, and asks just 30 questions about your work in helping others. There are also other useful self-assessment tools on stress, burnout and lifestyle inventory available from the same website. Once you have recognised that your levels of secondary stress are unacceptable, put into action your usual anti-stress techniques – debrief, holidays, or relaxation. See our stress archive for more suggestions. If none of these suggestions work, and you are still showing symptoms of elevated stress levels, you should take medical leave of absence, extended rest and seek counselling or even the help of a professional psychotherapist. If when you return to work things immediately get worse again, you should be reassigned. 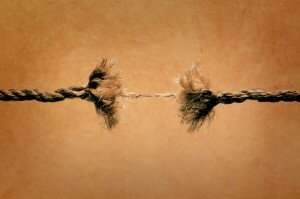 This of course, will add to your stress as you will feel guilty that you have let needy people down, but if you are not sufficiently resilient to cope in this situation, you may end up being a needy person yourself, and it is better for you to move on and to let a more resilient person take over. If you’d like to learn more about secondary stress I recommend you listen to Member Care Media’s 4-part podcast by Dr Brent Lindquist, who in addition to being excellently named really knows his stuff. Each episode is packed with helpful information and the whole series will take you less than an hour to listen to, but much longer to work through! There are also a lot of other good materials on the MemCare website which will help you to stay healthy.